A major western destination for flyfishing, anglers fish for trophy rainbow, cutthroat and brown trout, while rafters enjoy the relatively easy whitewater in the upper stretch below the Dam. Floating the Green is easily done along 3 sections above Ladore Canyon in lower Browns Park. Section A runs from the Dam to Little Hole. It is wildly popular with fishermen and rafters alike. Hikers too, can enjoy the river along the seven-mile Little Hole National Scenic Trail. Section B begins at Little Hole and runs 9 miles to Browns Park. Being a little more remote, it boasts big brown trout and numerous overnight camping opportunities. Section C floats through the historic and wildlife rich area of Browns Park. Beyond this point, the river enters the forbidding walls of Ladore Canyon and begins a rollicking run down to Dinosaur National Monument. 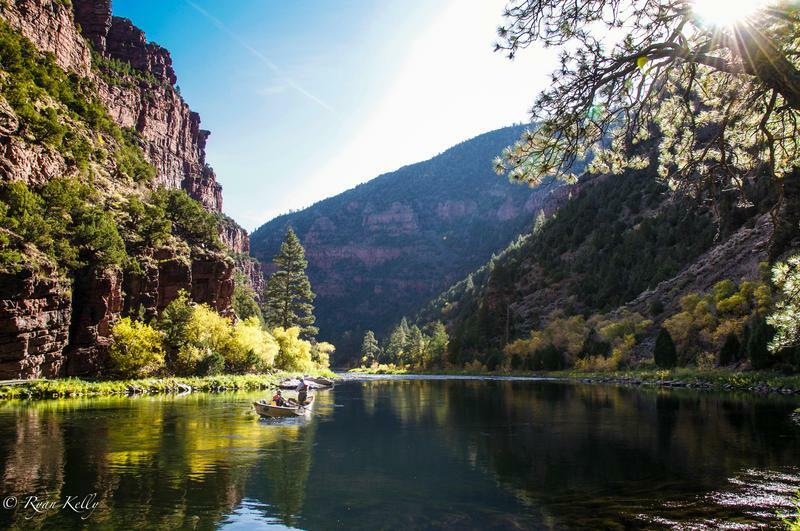 This wild and scenic stretch bears many labels from the early explorer John Wesley Powell. "Disaster Falls" gives one an idea of well Powell did on his journey and the many rapids still challenge whitewater enthusiasts today. From Green River Wyoming, travel south on WY Hwy 530. From Rock Springs Wyoming, travel south on US Hwy 191. From Vernal Utah, travel north on US Hwy 191. Thank you for visiting http://www.flaminggorgecountry.com/the-green-river! Be sure and revisit flaminggorgecountry.com frequently for content updates and more.